149: Snow Day….. in March?? 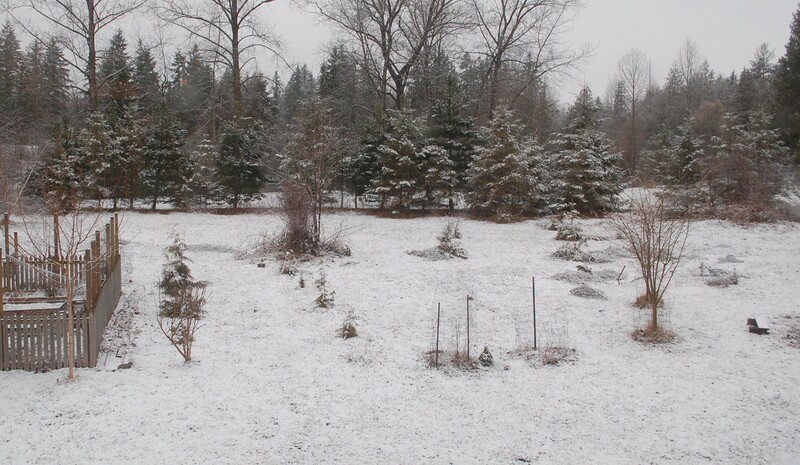 Okay so that was yesterday and the snow is mostly gone already, but here is a brief pictorial display of the day and all that I got done. It felt like a lot at the time, and I thing I am getting a lot done today, but not as exciting stuff to show….yet…. 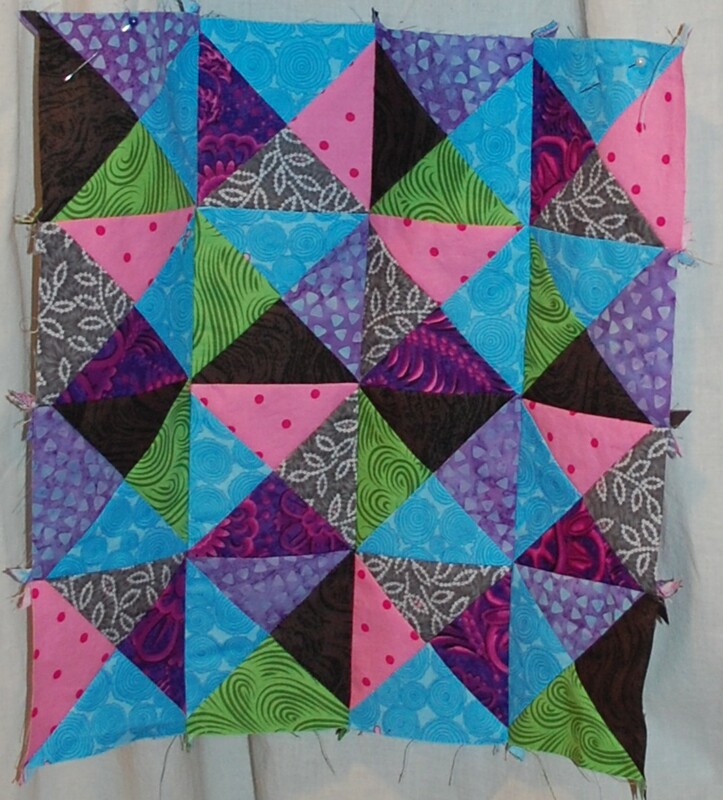 the doll quilt swap begins with round 6….this time I will not be late!…the top was finished yesterday …. the main accomplishment of snowday! 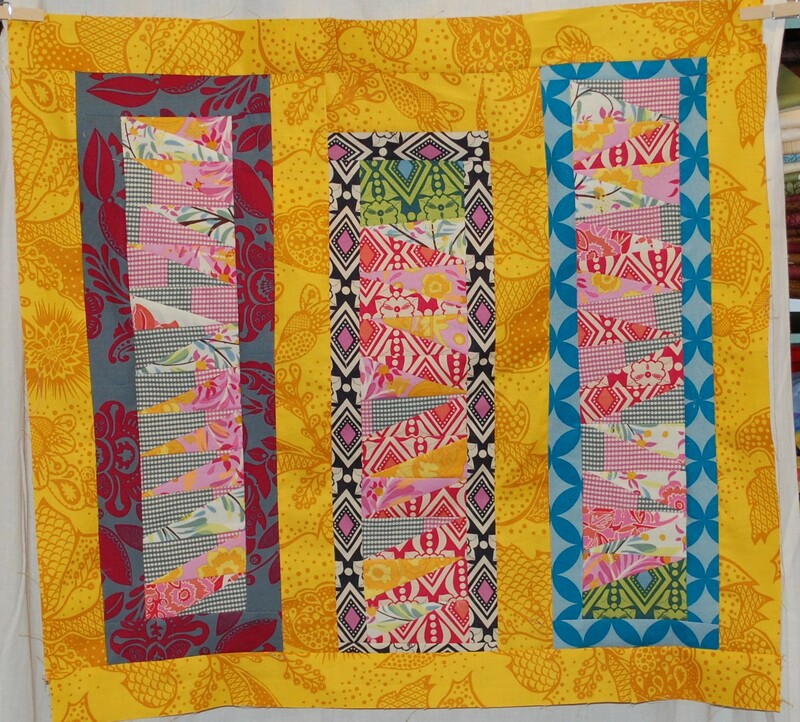 Made mostly with scraps from the Good Folks Quilt I did back in October last fall….LOVE this line! And January #2…do you see my mistake in this one? 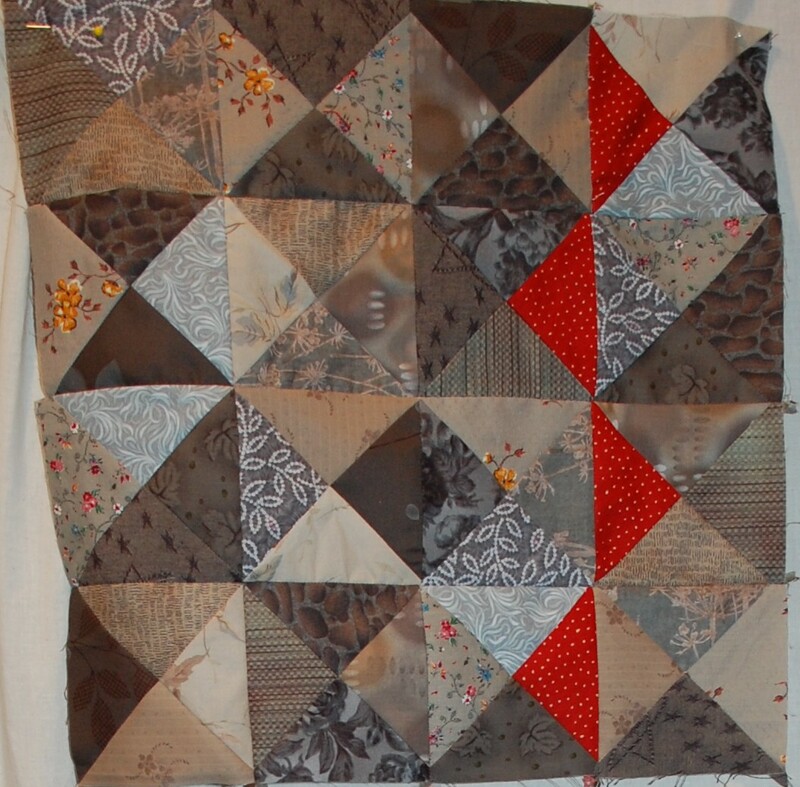 ?…I had to fix it today before I quilted it…. 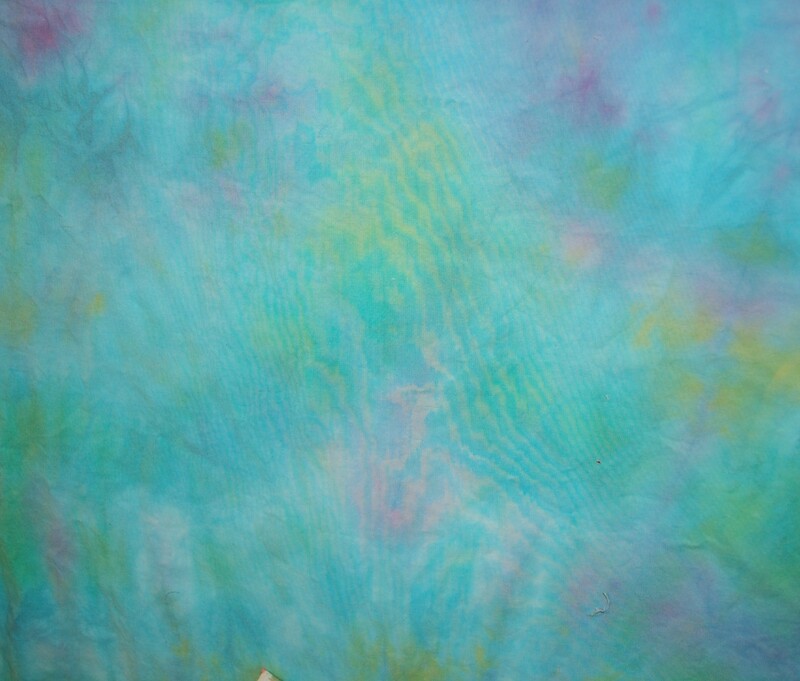 My girl Mimi did her own version of the January one…she was bored one night, so I had her pick the fabrics and color an exercise sheet, and this is the top…. Here is my February go…. 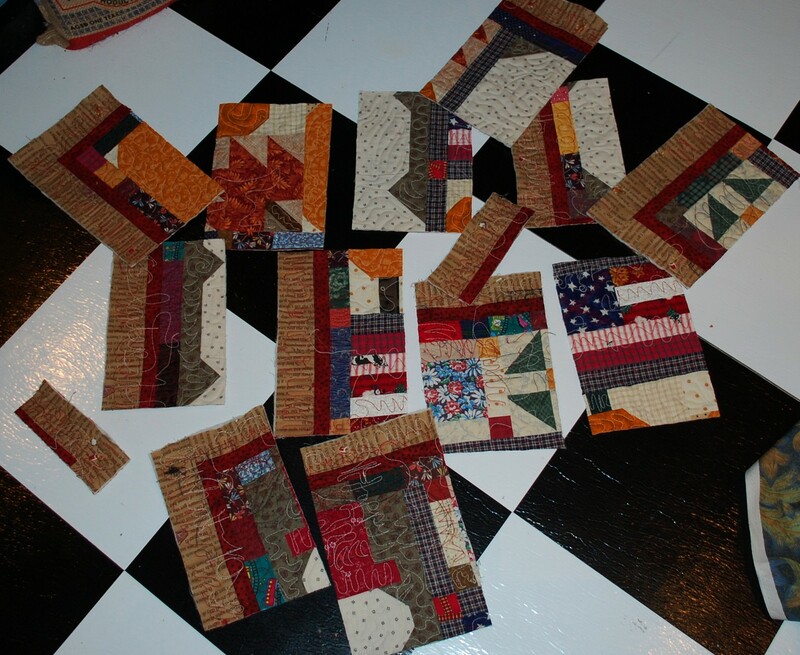 They all are in the process of being quilted and bound this week…I will probably add buttons and other stuff to them…but I wanted to share them, as I told Jovita that I would…I plan on using the hand-dyed blue above with some greens in my March challenge…when she gets it posted! 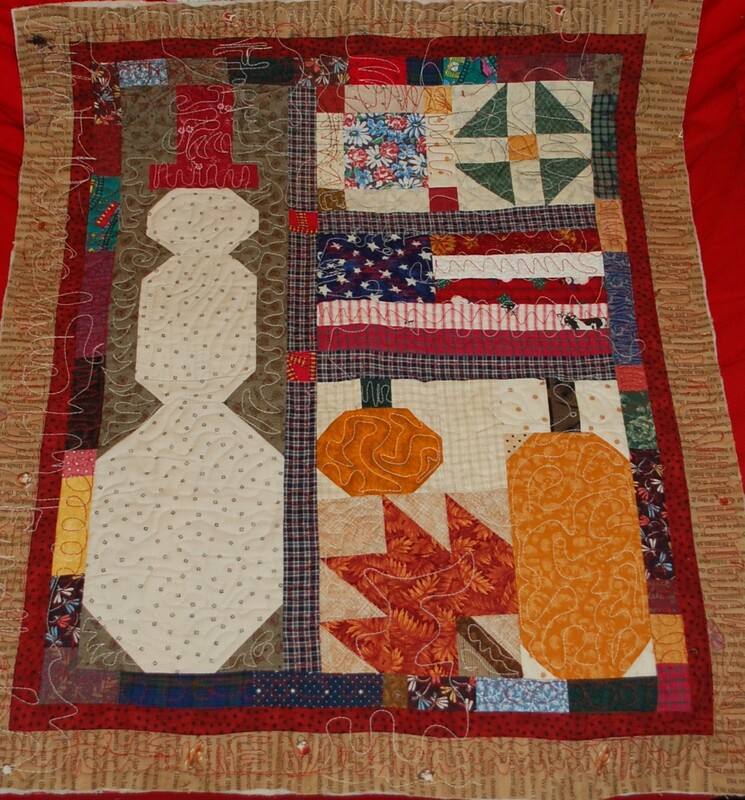 This quilt is an old one I made in my “country” phase, and was the first thing that I put on the quilting machine….I had a friend come over and try to show me somethings about quilting, but the machine was acting up badly and she was going fast, so it really just didn’t look that good…. 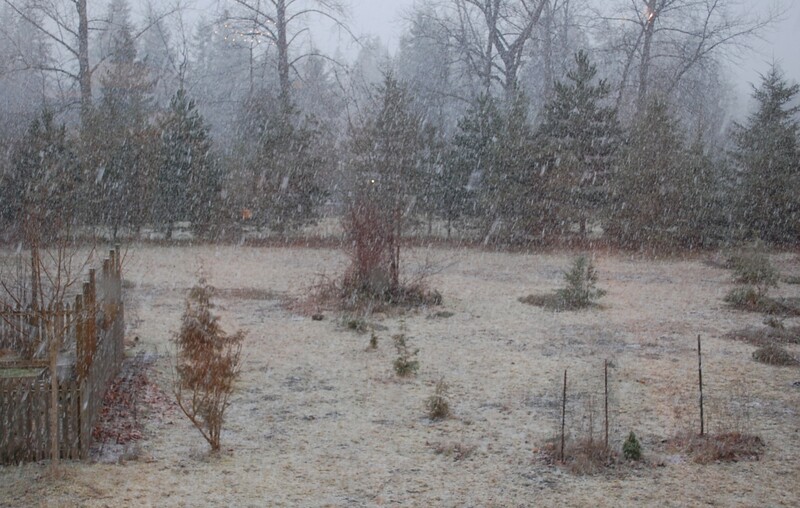 And the snow really did stick, but not too bad…it was gone by this afternoon…. 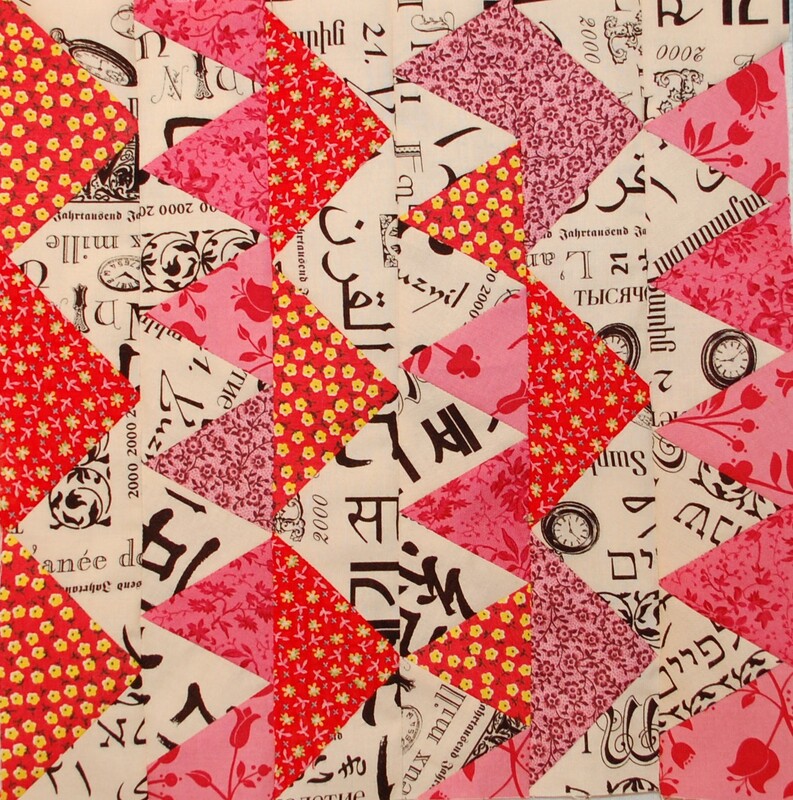 I love your doll quilt- and that pink and red with the black and white text is amazing! 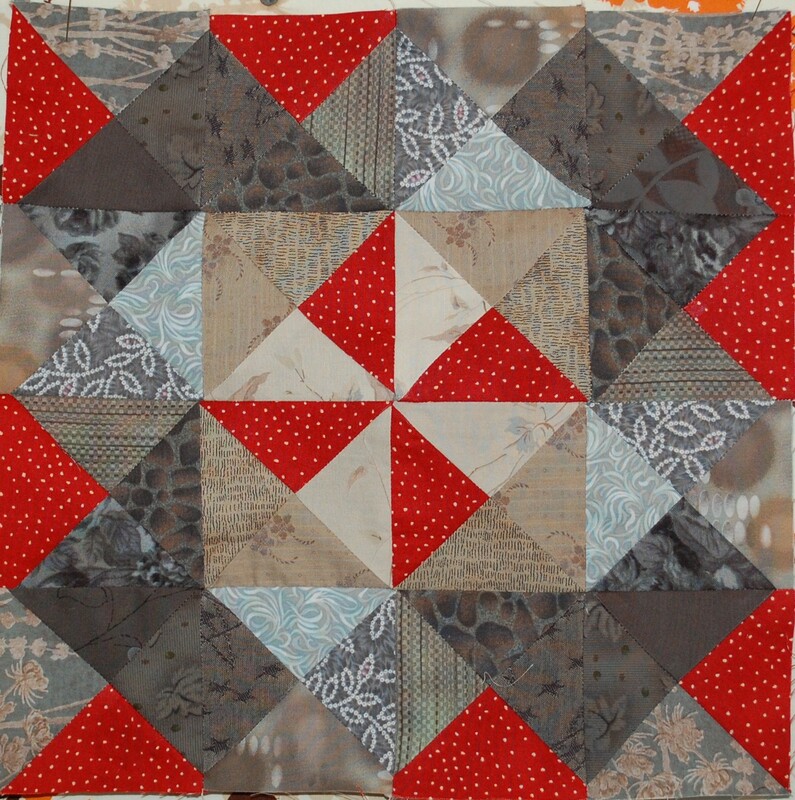 I am so bummed- I have been stalking the Dollquilt swap blog since the last round but the announcement for 6 never was posted so I missed out.